Cast out of Jerusalem, cast out of Spain. 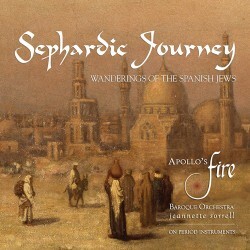 The Spanish Jews in their travels absorbed the colorful musical accents of Italy, Turkey and North Africa, including exotic percussion. 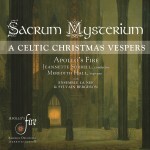 Apollo’s Fire’s musical journey interweaves Sephardic folk song with the Monteverdi-like Hebrew choral work of Salamone Rossi – the Songs of Solomon. The daily rhythms of life – love, rejection, feasting and celebration – culminate in the mystical prayers of Shabbat.